Everyone loves a good home-cooked meal, but after a long day at the office, who feels like cooking? Fortunately, modern technology is here to help! We've collected 7 great appliances that will save you time and effort in the kitchen and make enjoying a home-cooked meal easy enough that you may actually look forward to cooking breakfast, dinner or anything in between. 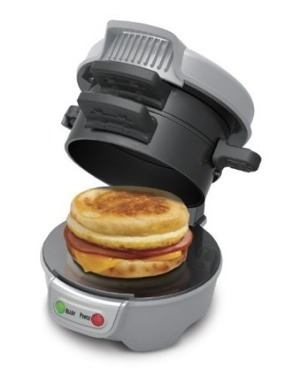 If you're a fan of starting the day off with a fast food style breakfast sandwich, this easy breakfast sandwich maker will save you money as well as time. This handy appliance toasts bread, cooks the egg and heats meat, cheese and anything else you might want on your ideal breakfast sandwich. Just combine the ingredients for your sandwich in the sandwich maker and it will cook, toast, and heat it to perfection. That sounds like breakfast deliciousness to us. Soup can be an easy meal and sauces can turning boring pasta into a delicious dish. 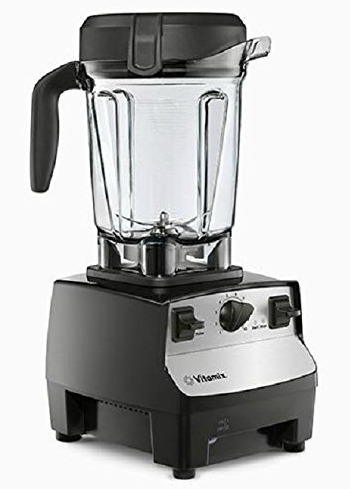 The Vitamix 5300 makes both easy to create from fresh ingredients. This clever contraption will blend (and stir and chop) your ingredients while it cooks them and is also good for making frozen desserts, peanut butter, smoothies and more. While making meals from fresh ingredients is great, cleaning up afterwards can be a chore. But for the Vitamix, just drop in dish washer soap and some warm water, then run it on high for 30 seconds. The 2.1 horsepower motor does the rest. Home cooks have known for years that a slow cooker is a great way to save time in the kitchen: just toss dinner ingredients in before you leave for work and by the time you get home you'll have a delicious, hot meal ready for serving. This programmable cooker adds smarts to an already great appliance: program in your cooking time and once it's up, the slow cooker will automatically finish cooking and then shift to keeping dinner warm. We like this model so much, we named it our Best Slow Cooker of the Year. 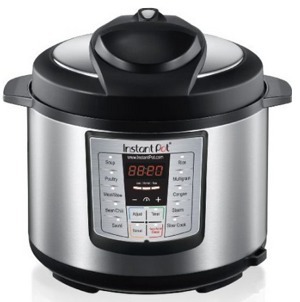 This wonder appliance does almost everything, acting as a pressure cooker, a slow cooker, a rice cooker, a steamer, and a warmer. 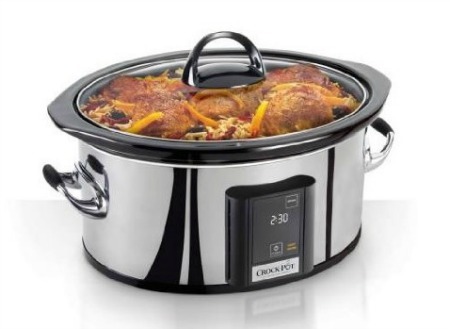 It comes with 10 pre-programmed settings for cooking different types of food and has a 24-hour timer to delay cooking, so it starts and finishes right when you want it to. Rice can be a nuisance to cook, requiring you to carefully keep an eye on things. But a rice cooker makes perfect rice every time without any worry. 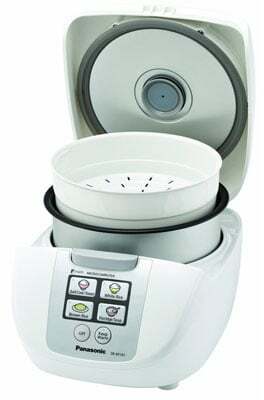 This model from Panasonic cooks up to 5 cups of uncooked rice, has settings for different kinds of rice and can steam veggies and meats while the rice is cooking for a simple one "pot" meal. Who doesn't love fresh-baked bread? Baking your own bread by hand tends to involve a lot of time and effort, but this breadmaker handles most of the hard work for you. 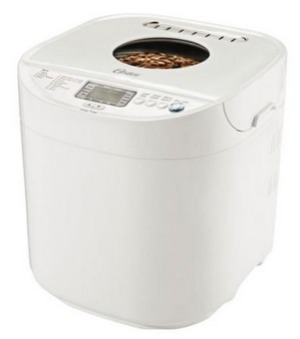 All you have to do to make up to a 2lb loaf is add the ingredients and click the settings on the unit. The Oster Expressbake has 9 different bread modes and 3 crust settings for the perfect bread, every time. And with its Expressbake setting, baking a loaf of bread only takes an hour. 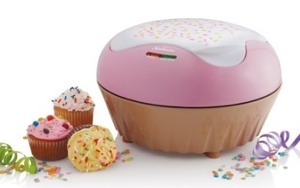 If anyone in your family has a sweet tooth, this Sunbeam Cupcake Maker is an excellent addition to your kitchen. All you have to do is mix the cupcake batter and pour it into the Cupcake Maker: you'll have six hot, oven-fresh cupcakes in only 10 minutes. Then you get to focus on the fun part of making cupcakes: decorating! Whatever your cooking need, we hope we've helped you pick out something that makes your kitchen routine a bit easier. Happy cooking! Haha. These may be great for people who live in homes, but where would I put them in my tenement? I use my VitaMix at least a few times a week; not one of these items would fit in my life! i have 2 slow cookers, a bread machine, and a rice cooker in my 320 sq ft apartment. guess i’m the lucky one (and my 10 yr old who loves rice!). sure wish i could afford the vitamix, though! Two slow cookers! Are you throwing a lot of parties in that 320sq ft apartment or just making a lot of food to freeze for later? Things like this are perfect for apartment dwellers! No need to use the stove or oven! I use appliances such as these to cook and bake everything…and my entire apt is 500sq ft. I use my stovetop and oven for storage. The appliances are easier to clean and always available. Well, not anymore, but when our son was growing up (and when I was still living with my husband) - we used the Pizzazz Pizza Maker ALL the time - we love frozen pizza, and to heat up the oven, cook it - seemed to take forever, and used more electricity… put the pizza on the Pizzazz, turn it on, 12 minutes later, cooked pizza, and no hot kitchen, and you didn’t use the huge oven… and when the son had friends over… trust me - best $50 at Walmart we ever spent!!! And I know you can cook other items on it, but we only ever did pizza! I just ordered the sandwich maker!!! I have spent way too much on fast food McMuffins in the past 6 months, that I could have bought 100 of these! (or so) I hope it’s as good as you review and as good as others review it! Can’t wait to get up 5 minutes earlier to give it a try! Oh well, a few inches off my counter to save money will be a good trade-off!